The Empire of Titanium is a nation led by Imperator Tiberius on the continent of South America. 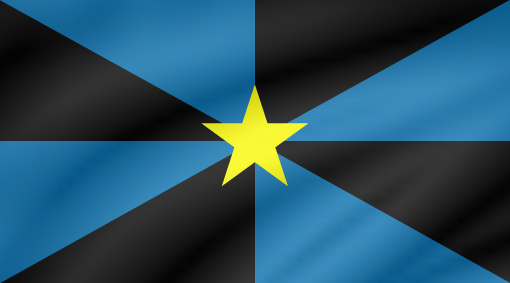 The Empire of Titanium's government is a Aristocracy with very liberal social policies. Economically, The Empire of Titanium favors moderate policies. The official currency of The Empire of Titanium is the Pound Sterling. At 586 days old, The Empire of Titanium is an ancient nation. The Empire of Titanium has a population of 4,104,223 and a land area of 18,040.00 sq. miles. This gives it a national average population density of 227.51. Pollution in the nation is a disaster. The citizens' faith in the government is completely depleted with an approval rating of 0%. A new Nation seeking fun. 04/06 07:59 pm - founded a new city, SinisterGaits 4 Nempoopsis. 02/02 10:58 pm - Titanium placed an embargo on the alliance The Knights Radiant. 01/30 02:24 pm - founded a new city, Knighfall paid for this. 01/29 04:15 am - Titanium declared war on virus for the reason of "I am the LAW!". 01/28 04:17 am - Titanium declared war on Nuovi Amanti for the reason of "We have come to liberate you". 01/25 01:15 am - Titanium declared war on Bluntzalvainia for the reason of "I couldn't come up with anything better than the default". 01/25 12:03 am - Titanium declared war on North Bulgaria for the reason of "We have come to liberate you". 01/23 09:44 pm - Titanium ended the embargo placed on Vancouver Island. 01/23 01:44 am - The embargo on Titanium placed by Vancouver Island has ended. 01/23 12:46 am - Titanium was embargoed by Vancouver Island. 01/23 12:43 am - Titanium placed an embargo on Vancouver Island.